What will happen at my CROWN court trial? Is there a difference between Crown Court trial and Magistrates' Court trial? Unsure if you are going to the Crown Court or Magistrates' Court for trial? "What follows will unravel some of the myths about trial in the Crown Court. It will also prepare you for what to expect if you are going to court yourself, whether as the person accused of a crime or as a witness or as some other interested party"
So what follows will unravel some of the myths about trial in the Crown Court. It will also prepare you for what to expect if you are going to court yourself, whether as the person accused of a crime or as a witness or as some other interested party. "The prosecution must prove its case beyond reasonable doubt, often referred to as making the jury ‘satisfied so that they are sure’ of the defendant’s guilt"
To prove that a defendant is guilty the prosecution must prove its case beyond reasonable doubt, often referred to as making the jury ‘satisfied so that they are sure’ of the defendant’s guilt. This is the standard of proof. Yes, although both follow a very similar format. The fundamental difference is that in the Crown Court there is a jury and this alters some of the procedures. This is why there are separate guides on this website for Crown Court trial and Magistrates' Court Trial. 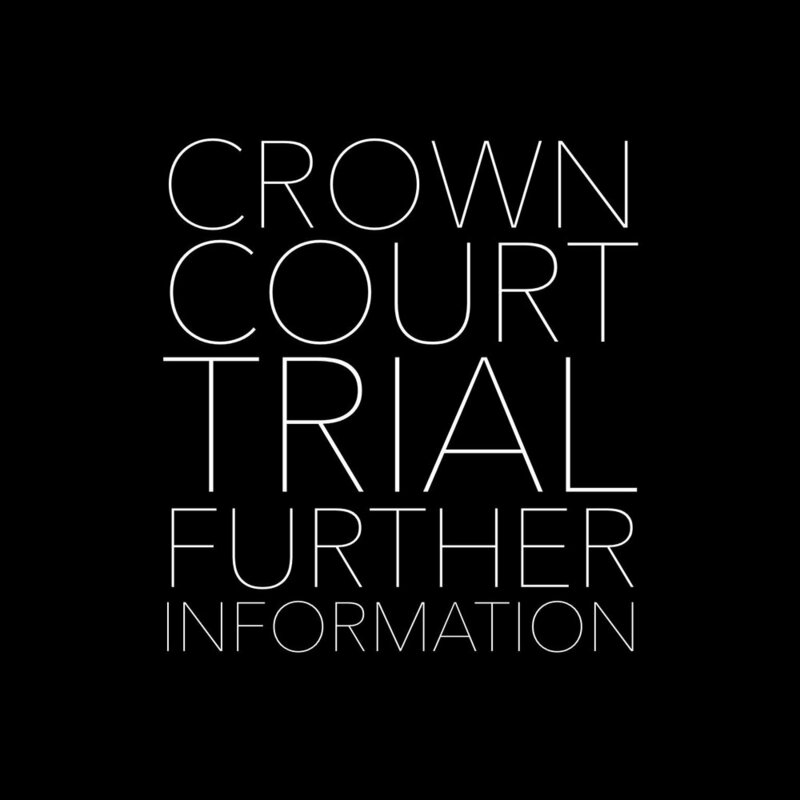 If you want to know about CROWN COURT TRIAL read on. 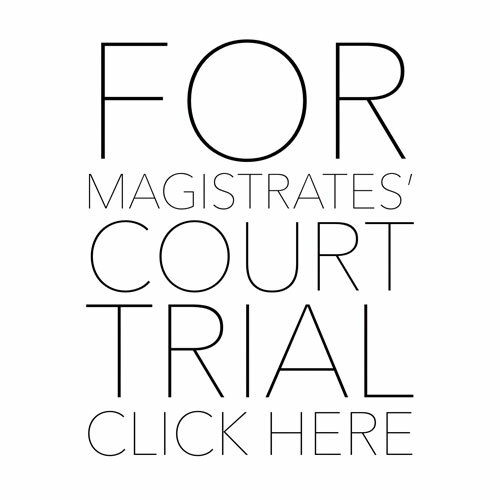 If you want to know about MAGISTRATES' COURT TRIAL click here. The first court appearance for every criminal case is at the Magistrates’ Court, but for the trial some cases remain in the Magistrates’ Court and some are sent to the Crown Court. If you are unsure whether you are going to the Crown Court or the Magistrates' Court for your trial have a look at Which court will I go to? What follows is all about adult courts (i.e. 18 and over) – for the vast majority of cases under 18s will have their first appearance and their trial at the Youth Court. The Youth Court trial process is very similar to the trial process at the Magistrates’ Court, although there are significant restrictions on who can go into court (the general public are not allowed to enter) and there are restrictions on reporting by the press in cases involving under 18s. The Youth Court is also less formal than the adult Magistrates’ Court and far less formal than the Crown Court. Very few youths will ever go to the Crown Court. For more information about Youth Courts click here. Who will hear my case in the Crown Court? "At trial in the Crown Court the verdict of ‘guilty’ or ‘not guilty’ is decided by a jury"
At trial in the Crown Court the verdict of ‘guilty’ or ‘not guilty’ is decided by a jury, except in a very small number of exceptional cases (such as where jury tampering has taken place or there is a real danger of this happening). A judge also sits in the Crown Court and deals with legal and procedural matters including directing the jury on matters of law, but the jury assess the evidence and deliver the verdict. The judge and jury therefore have different functions; these are usually referred to as the jury being ‘the judges of the facts’ and the judge as ‘the judge of the law’. Before jurors embark on their jury service they are shown a video produced by the Ministry of Justice called ‘Your Role as a Juror' . You can also find further information on jury service and receiving a jury summons on the gov.uk website. "Three types of judge can hear cases in the Crown Court – these are Circuit Judges, Recorders and High Court Judges"
Three types of judge can hear cases in the Crown Court – these are Circuit Judges, Recorders and High Court Judges. Circuit Judges hear most Crown Court cases. They appear on the court list as HHJ (His/Her Honour Judge) followed by their surname. Circuit Judges wear a black and violet robe with a red tippet (sash) except in the the Central Criminal Court (the Old Bailey) where they wear a black gown. Recorders (who are professional lawyers who sit as part-time judges) also regularly hear Crown Court cases. They wear a black gown. Circuit Judges and Recorders are referred to in court as ‘Your Honour’ except at the Old Bailey where they are always referred to as ‘My Lord’/‘My Lady). The judiciary.gov.uk website has a helpful section on ‘what do I call a judge’ . Occasionally High Court Judges sit in the Crown Court, usually for very serious or complex cases. High Court judges (who are often referred to informally by lawyers as ‘red judges’ due to their red robes) are very senior judges and are referred to in court as ‘My Lord’ or ‘My Lady’. All judges in the Crown Court wear a short wig (judges only wear long wigs for ceremonial purposes). "Before the prosecution opens the case to the jury the judge will deal with any preliminary legal arguments that need to be resolved"
Before the prosecution opens the case to the jury the judge will deal with any preliminary legal arguments that need to be resolved. These preliminary matters are usually dealt with just before or just after the jury are sworn and, as with all legal arguments, in the absence of the jury. Such legal arguments might include applications to rely on a defendant’s or a prosecution witness’s previous convictions or past misconduct (a bad character application) or applications from the defence to exclude certain prosecution evidence as inadmissible (such as, for example, where a defendant was not cautioned before making a statement the prosecution wish to rely upon). There are a number of legal matters that might need to be resolved at this stage depending on the circumstances of the case. In more complex cases, legal issues are sometimes argued and resolved at pre-trial hearings ordered specifically for that purpose. The decision as to when such legal arguments take place is made before the trial at an earlier case management hearing in the Crown Court called a Plea and Trial Preparation Hearing (PTPH), or some other pre-trial Directions Hearing. "Twelve jurors are required to start the case. A jury panel of more than twelve will be asked to go into court"
Twelve jurors are required to start the case. A jury panel of more than twelve will be asked to go into court. In most cases there will be a jury panel of 15 or 16 jurors (more in cases expected to last for a long time) from which the 12 will be chosen at random. As each juror is called from the panel (s)he will take his/her place in the jury box. In cases expected to last for more than 4 weeks the court can start a case with 2 extra jurors who can take the place of any of the 12 who are unable to continue for any reason (e.g. due to illness of the juror or a member of their family). The minimum number required on a jury is 9 people so starting a longer trial with extra jurors reduces the risk of having to abandon a trial. Before the jurors take the jury oath or affirmation they will be told the names of the main witnesses in the case (prosecution & defence witnesses), together with any relevant locations. The purpose of this is to ensure that the members of the jury have no prior knowledge or connection with anyone involved in the case. If a member of the panel does have any connection the judge will usually excuse them and another juror-in-waiting will take their place (hence one of the reasons for a panel of more than twelve). In longer and more complex cases questions can by asked of potential jurors by asking them to fill out a questionnaire. However, there is no equivalent to US-style jury selection where jurors are questioned by legal representatives before being accepted onto a jury. "Each juror then takes the oath or affirms to 'faithfully try the defendant and a give a true verdict according to the evidence.'" Jurors will normally be expected to do jury service for two weeks but some cases last far longer than this; in these longer cases potential jurors will have been contacted in advance and asked about their availability. "The judge will tell the jury that the evidence upon which they will decide the case is the evidence that will be presented to them in court"
The judge will tell the jury that the evidence upon which they will decide the case is the evidence that will be presented to them in court. As such, they should only discuss the case among themselves and not with anyone else who may give a view but will not have heard the evidence. They should also not be influenced by any media reporting of the case and should not attempt to obtain further information about the case from anyone outside court, including using social media and the internet to contact witnesses or to otherwise conduct research. A written notice will already have been given to the jury that undertaking research into a case, communicating with another juror about this research and disclosing details of the deliberations of the jury are criminal offences for which the penalty is imprisonment or a fine, or both, and may be a contempt of court. They will be told that they have a collective responsibility as jurors to ensure they all act appropriately according to their oath/affirmation. As such, if they have any concerns during the trial, either relating to the improper conduct of another juror (e.g. internet research) or to some other external factor (such as being approached by a third party regarding the case who attempts to influence them), they should immediately inform the usher who will notify the judge. The jury will be told that matters of law are for the judge alone so if any legal applications are made during the trial the jury will be asked to leave court while they are dealt with. Finally, the judge will deal with the what the estimated length of the trial is and when they are likely to retire to consider their verdict. They will be informed of the usual sitting hours (usually 10/10.30am-1pm then 2pm-4.30pm). When these preliminaries have been dealt with, the prosecution will open its case. "By the end of the prosecution opening speech the jury should have a clear idea of what the case is about and what the issues are that they will have to focus on"
The trial then starts with the prosecution opening its case to the jury. The prosecuting advocate will explain what the case is all about, i.e. what charges the defendant faces and what the case against the defendant is. The prosecutor will steer clear of going into a detailed explanation of the law unless it is necessary to do so to open the case clearly. The judge will explain the law to the jury at a later stage of the trial (during the summing-up) so there is usually no need to do so at the start. By the end of the prosecution opening speech the jury should have a clear idea of the what the case is about and what the issues are that they will have to focus on. Whilst opening the case the prosecutor will usually hand to the jury a copy of the indictment which is the document containing the charges (called ‘counts’) faced by the defendant. "Once the issues have been clearly set out to the jury the judge can further assist by informing them of relevant matters of law"
Immediately after the prosecution opening speech the judge may invite the defence representative to address the jury briefly on what the issues in the case are. The purpose of this is to help the jury understand the case and focus on those matters which are in dispute. For example, in an assault case the defence might be one of mistaken identity or it might be self-defence, so identifying the issue at the outset would make it clear for the jurors where they should focus their attention. Or in a theft case the defence might be a denial of taking the item, or it might be that the defendant accepts taking it but asserts the item was given to him. It obviously helps the jury to know exactly what the issues are from the outset. Sometimes there will be no need for such an initial statement from the defence if the prosecutor has made it clear what the issues are or it is otherwise apparent. The final decision rests with the judge. Once the issues have been clearly set out to the jury the judge can further assist by informing them of relevant matters of law. For example, in an eye-witness identification case the judge could inform the jury of certain matters they should focus on to enable them to assess the reliabilty of an identification, such as the period of time over which the observation took place, the distance involved, the lighting conditions and the existence of any obstructions (in the case of R v Turnbull  QB 224 the Court of Appeal set out the factors that need to be considered in a case based on visual identification). If the judge decides that the defence should make an initial statement to the jury but the defence declines the invitation (which it is entitled to do), the judge may direct that the jury are given a copy of the defendant’s Defence Statement. The Defence Statement is a mandatory document in the Crown Court which the defendant will have served on the prosecution and the court at an earlier stage in the proceedings; it includes the general nature of the defence as well as those parts of the prosecution case the defendant takes issue with and why. If the jury are to be shown the Defence Statement to help them identify the real issues in the case, the Defence Statement can be edited before it is shown to them to remove any irrelevant or inadmissible material. "Once the prosecution has opened the case it has to prove it with evidence"
Once the prosecution has opened the case it has to prove it with evidence. Evidence can be adduced in court in a number of ways: first, by calling witnesses; secondly, by reading the statements of witnesses (usually where the other side agree with the contents of the statement); thirdly, by agreeing the evidence with the other side and writing that evidence down as an agreed fact. "A witness will usually only be called to give evidence where the defendant disputes the version of events they have set out in their written witness statement"
A prosecution witness will usually only be called to give evidence where the defendant disputes the version of events they have set out in their written witness statement. For example, the witness may have given a statement to the police that the defendant punched him in the face. The defendant may deny that this ever happened. In these circumstances there is a clear dispute. The prosecution will therefore have to call the witness. The witness will give his version of events and then the defence will cross-examine the witness putting their version of events to him. Where there is no dispute about the contents of a witness’s statement there is no need to call the witness to court to give evidence. After all, it would be a complete waste of time and money to bring a witness to court to say something that everyone agreed with. So where the prosecution and the defence agree with the contents of a witness statement, that statement can simply be read out to the court. Alternatively, the contents of that witness statement can simply be written down as an agreed fact (a written admission) which is read out and handed into the court during the trial. An example of the type of prosecution evidence that is often agreed is medical evidence and evidence from police officers regarding a defendant’s arrest. For example, if the allegation was that the defendant had punched the victim in the face and broken his nose, there would be a statement from a doctor at the hospital to confirm the defendant attended A&E and had a broken nose. There would probably be no dispute about this (if the dispute simply concerned how the injury occurred), so in that event the defence would agree this evidence and the statement could simply be read out by the prosecution in court or the contents could be summarised in a document and given to the jury as agreed facts. A witness will start by entering the witness box and taking the oath or affirmation, i.e. “I swear by almighty God/I do solemnly, sincerely and truly declare and affirm that the evidence I shall give shall be the truth, the whole truth and nothing but the truth.” He will either read this or the court usher will take the witness through it. A witness will usually stand whilst giving evidence but the judge will allow them to sit down if there’s a good reason to do so. Once they have taken the oath or affirmed, the legal representative for the prosecution will then ask the witness for their name. A witness will not be asked to reveal his home address unless it is relevant to the case. From this point on the witness will be taken through his account of what happened. Witnesses (other than defendants) cannot sit in court before they are called to give their evidence. The exception to this rule is expert witnesses who can listen to the evidence before they are called upon to give their expert opinion. When they have finished giving evidence witnesses can sit in the public galley and watch the rest of the case should they choose to do so. Prosecution witnesses have a private waiting room at court which they can use before giving evidence. What is important during evidence in chief is that the jury hears the witness's account, not an account that is moulded by the prosecution advocate who is asking the witness questions (conducting the examination-in-chief). For this reason the prosecution cannot ‘lead’ a witness through his evidence, i.e. the prosecution cannot ask questions constructed in such a way as to suggest the answer they want. "if a witness has difficulty remembering what happened, the prosecution can ask the judge for permission to allow the witness to refresh his memory from his witness statement"
A witness is not allowed to rely on his statement to guide him through his evidence. However, if a witness has difficulty remembering what happened, the prosecution can ask the judge for permission (permission is called ‘leave’ in the criminal courts) to allow the witness to refresh his memory from his witness statement. The test the judge applies in deciding whether to allow this is whether the witness’s memory was ‘significantly better’ when he made his statement than it is now. A number of witnesses will find the process of giving evidence a difficult experience. Witnesses may be fearful for a number of reasons. An obvious example of a category of witnesses who may find the process of giving evidence in court difficult are child witnesses. For this reason, there are a number of ‘special measures’ which the court can grant to help witnesses give evidence. Many such measures, such as the use of screens (so that the witness and defendant do not see each other) and live video link (where the witness can give evidence from a remote location and they appear on a TV monitor in court) are used regularly and the judge will direct the jury not to hold the fact that special measures have been used against the defendant..
You can read more about special measures in the Further Information section. Once the prosecution witness has finished giving his account (i.e. completed his evidence in chief) the prosecution advocate will sit down and the defence advocate will stand up to cross-examine the witness. "The first aim of cross-examination of a prosecution witness is to test that witness's evidence by putting the defendant’s version of events to him or her"
The first aim of cross-examination of a prosecution witness is to test that witness's evidence by putting the defendant’s version of events to him or her. For example, if the prosecution witness has given evidence in chief that the defendant punched him in the face but the defendant denies this ever happened, the defence advocate will put the defendant’s version to the witness. This gives the prosecution witness the opportunity to respond to the defendant’s version of events and either agree or disagree with it. It also means that, by the end of the cross-examination, it should be clear what the defendant’s case is. "The defence will also want to demonstrate through cross-examination that the evidence given by the prosecution witness cannot be relied upon"
The defence will also want to demonstrate through cross-examination that the evidence given by the prosecution witness cannot be relied upon. For example, if a prosecution witness has given a different version of events previously to the version given in evidence to the court, their previous inconsistent statement can be put to them. Similarly, the defence are entitled to focus on the detail of the witness’s evidence to highlight inconsistencies and other matters; the defence can later argue in their closing speech that such inconsistencies etc. reveal the account given is not reliable. In cases involving allegations of a sexual nature, complainants cannot be asked questions about their sexual history except with the leave (permission) of the court. There are also restrictions preventing litigants in person conducting a cross-examination in some cases (see below) and you can find more in the Further Information section at the end. Questions put in cross-examination must be relevant to the issues in the defendant's case. "If you are representing yourself there are some restrictions on who you can cross-examine"
If you are representing yourself (in which case you are known as a litigant in person or defendant in person) there are some restrictions on who you can cross-examine. There is a helpful section on defendants in person in the Crown Court Compendium Part 1 Chapter 3-5 which you can find here and also in the Crown Court Trial Further Information section. The final piece of evidence the prosecution will adduce is the defendant's Record of Interview. Where the defendant has been interviewed by the police at a police station, this will have been audio recorded. The record of interview is generally produced as a written summary of the interview. It is rare for it to be a verbatim account of everything a defendant has said, although usually some of the answers are set out fully to avoid ambiguity. Where there is a good reason to do so, the actual interview audio recording may be played to the court. The record of interview will be an agreed document between the prosecution and the defence (i.e. they will have edited it together before the trial and agreed a final version to give to the judge and the jury). The prosecution will hand the agreed copy of the interview to the jury and may read it out. "When all the evidence has been adduced in support of the prosecution case the prosecution advocate will close the case by saying 'that is the case for the prosecution'"
When all the evidence has been adduced in support of the prosecution case the prosecution advocate will close the case by saying “that is the case for the prosecution” or “that is the case for the Crown.” This indicates that the prosecution has now presented all its evidence. Closing the case should not be confused with the closing speech. A closing speech comes right at the end of the trial after the defence case. To read about the defence case click below on Crown Court Trial Part 2. For information about the judge's summing-up and the jury click below on Part 3. 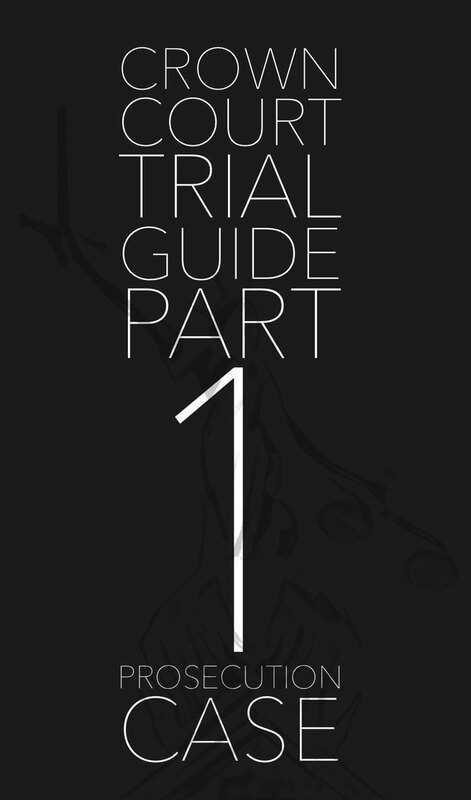 You will also find links celow to further information and to our Magistrates' Court trial guide.